Sloane’s extensive range of subject matter includes landscapes, still lifes, portraits, and genre scenes. However, over the course of her career her style shifted from more abstract to more representational. During her lifetime, she had many successful one-woman shows. 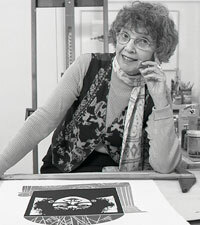 Sloane’s artwork is displayed throughout the United States in various private, corporate, and public museum collections.